After debuting at Art Basel Miami 2016 a few weeks ago, Chicago based artist Hebru Brantley has just released his newest t-shirts online! 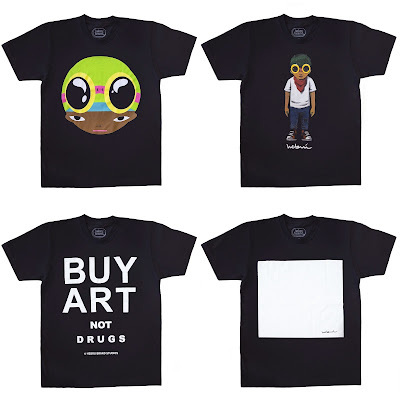 The Art Basel Miami 2016 T-Shirt Collection featuring his signature character Flyboy, as well as other characters, art and typography. All four of the new Hebru Brantley t-shirts seen here and so much more are available now at the HebruBrandStore.com, in sizes S-2XL, for $60 each.